In the morning sunshine, a young woman walks across the busy compound of the Missionaries of Charity center in Addis Ababa to greet Sister Adelaide and Sister Niharica, two of the 15 sisters who work here. She has come back to thank them for the help they gave her when she was abandoned by her husband and left with a small child to feed. It happens often, the sisters say. For these and the other sisters at this Missionaries of Charity home, each day is an exercise in compassion. As a hospital serving 600 residents and outpatients every day, the Missionaries of Charity home provides critical health services for the poorest of the city’s poor. Trained in her native Belgium as a physician, Sister Adelaide says the sisters see ailments ranging from skin diseases to cancer every day. In addition, they also treat mental health patients and provide a range of support—from school scholarships and small stipends for vulnerable youth to financial support for house rent—for the poorest city residents. All of the money comes from donations. One of the biggest challenges the sisters face is providing food for the nearly 800 patients, staff and sisters who work at the busy home. To help, Catholic Relief Services provides staples like wheat, peas and corn-soy blend, which the sisters use to provide three hot meals daily. It is critical support that allows them to use their limited budget to purchase other essentials locally, like milk and fresh vegetables. 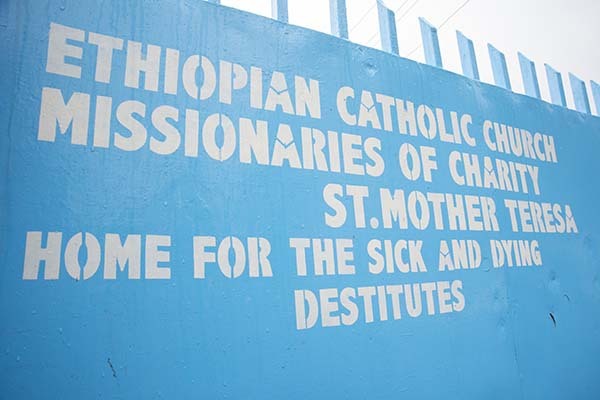 Walking in the footsteps of Mother Teresa, the sisters at this and the 17 other Missionaries of Charity sites in Ethiopia are dedicated completely to the poorest of the poor. As the gap between rich and poor in Ethiopia grows, many Ethiopians are left without the means to meet even their basic needs. Through the Missionaries of Charity, they get the food and the care they need, free of charge. For Sister Adelaide and the other sisters at the home, the care they provide reflects their commitment to a higher calling. “We bring God’s presence through service, not by words,” she says. 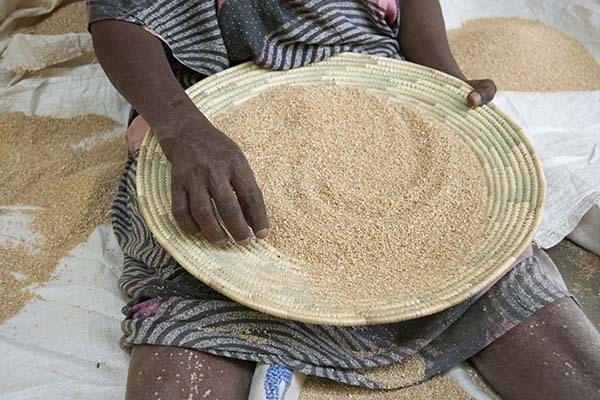 By supporting Catholic Relief Services, either through an unrestricted donation or CRS support for the Missionaries of Charity in Ethiopia, your generosity allows us to continue providing critical food aid in service to the poor.